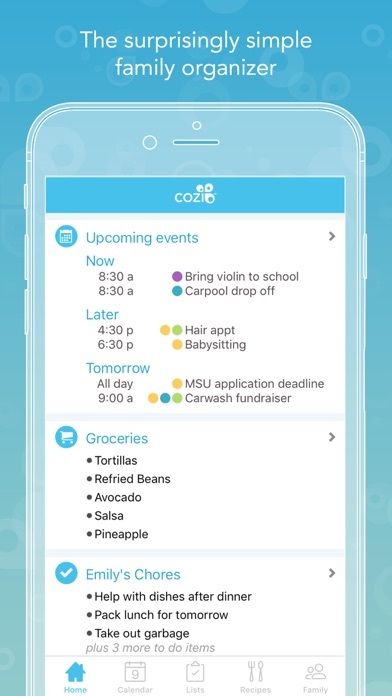 Must have app for families. 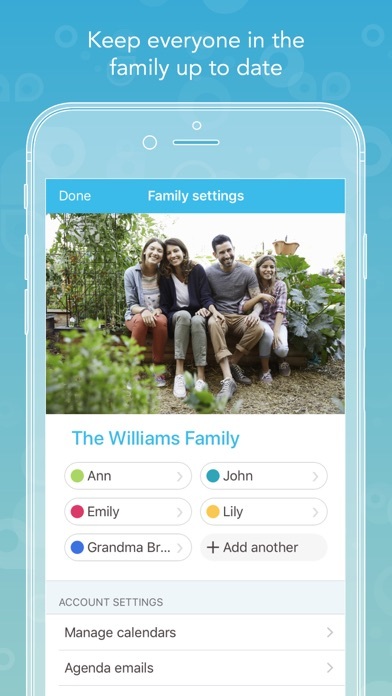 It's very easy to useand let's me keep up with my whole family and kids (they even have the app and use it). 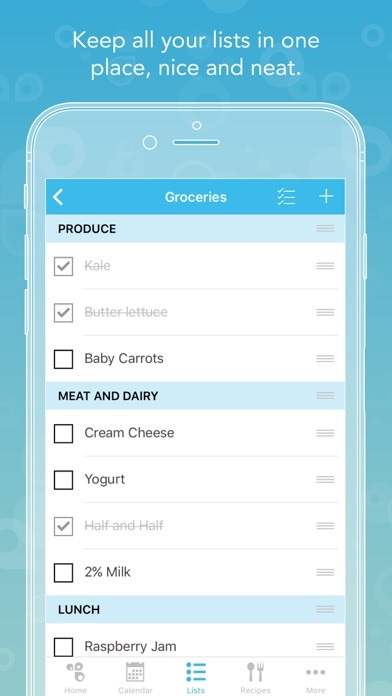 It really helps with chores that I am able to customize a list for their chores that everyone can see and when their all done they can check off as such. I highly recommend this app to anyone. I've used it for years. I’m just starting to use it. I gave it 4 stars cause there are a few things I wish it had. I love the color Cordinator however I wish it would show the dots while in month view mode. And I also wish it had a way to change the calendar month view to show the week starting on Sunday instead of Monday. It messes with my brain. But I love that you can connect it to apple which can connect to my Alexa. We enjoy the ability to share with our family. 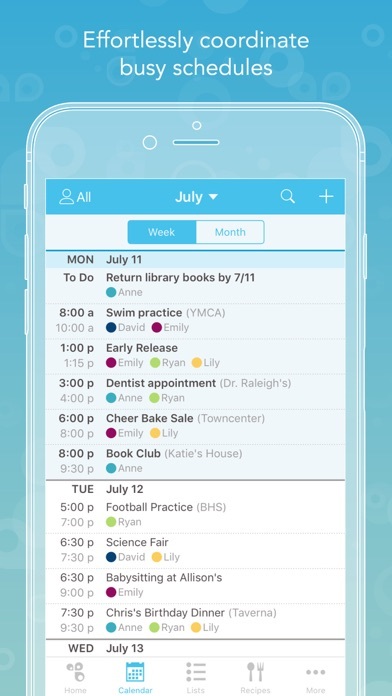 I just wish it was more integrated like iCal and Google Calendar. My sister had me download this app for my new lifestyle of appointments for very important parole, outpatient and related appointments. My first reaction was one of agreement, after inputting several appointments, and having to make sure that none of them overlapped each other, I became beyond grateful and actually beyond words glad to have been introduced to the app. I am dealing with more then a handful of appointments at any given time and I can’t say what I would do without the privilege of simply pulling out my calendar!!! Best overall family calendar. We would never keep our lives in order with shift work, personal plans, etc. 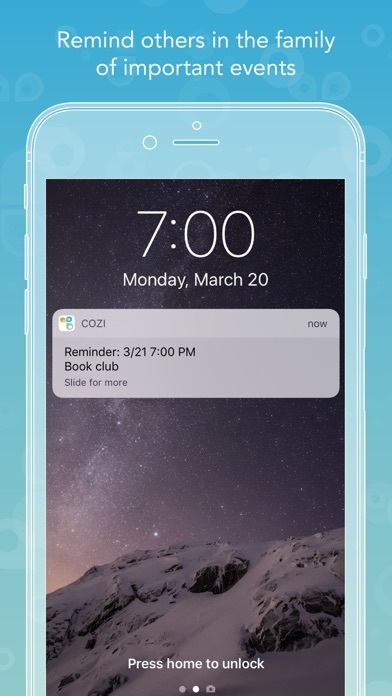 I’ve been using Cozi for years and couldn’t live without it. I keep track of my family of five and all my many obligations. 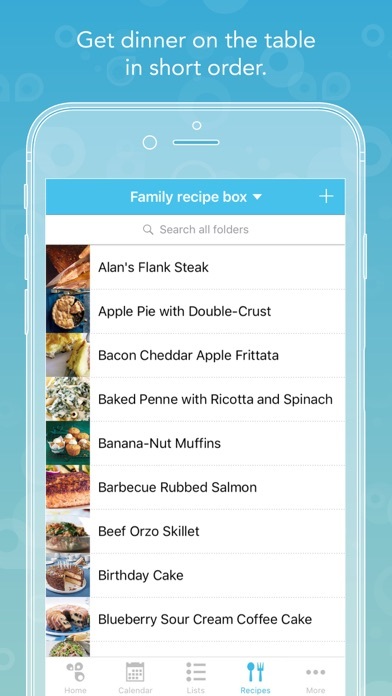 It’s easy to customize repeats, share specific items with others, and make changes. Tried Google calendar and Outlook and they don’t come close to functionality. Also use for holiday gift lists so I don’t have to keep track of paper. Cozi is my brain!